Add to Your Playlist For Free!! Looking for a few Christmas tunes to add into your music mix? 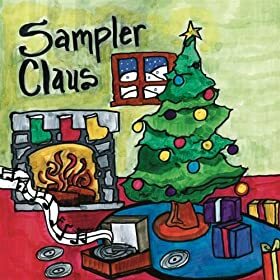 Well, threw tomorrow evening, head on over to Oprah's website here and download 2 Christmas tunes....Silent Night from Sugarland & What Child is This? by Andrea Boccelli & Mary J Blige absolutely free!! What better way to get into the holiday spirit than free tunes to sing along too. Today only, Cyber Monday Victoria's Secret is offering 3 Sweaters and a scarf for just $30!!! Simply browse the sweater selection here, and add 3 to your cart. Then browse the scarf selection here, and select one you like and add it to your cart. Then at checkout enter codes: vssave20, scarf09,and 3for30. Final total should come down to about $30.99 (plus applicable taxes). Whether you keep then for yourself or give as a gift...what a great deal this is!! I am sure sizes will be out of stock quickly...so hurry and get your order in if your interested!! FREE Shipping, Plus Save 20% Today Only at Old Navy!! If you have been eyeing up a few items at Old Navy, now may be the perfect time to get a little shopping done, all from the comfort of your home of course!! What could be better?? Today only enter code: MONDAY at checkout to receive FREE shipping plus 20% off your entire order!! This offer is also valid at Gap, Banana Republic, Piperlime, Athleta. Remember these savings are valid today 11/30/2009 ONLY!! If Leapster Games are on your "To Buy" list here is a printable coupon for $4.00 off/1 game. Coupon does not expire until 1/11/2010...so plenty of time to hold out for a sale on these. Have a few items at Borders to pick up? Whether for yourself or for a gift you need to purchase...now may be a good time to do it!! 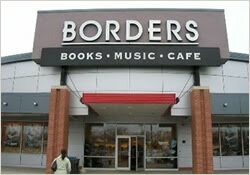 There are 2 ways to save at Borders starting tomorrow 11/30. Buy 1, Get 1 60% off the list price with this coupon here. (Can be used in-store, or use code on coupon to save online.) Less expensive item is discounted. There is a limit 2 discounted items. Spend $10 on a million items and get FREE shipping when shopping at Borders online...click here for details. Remember both codes are valid starting tomorrow. Fun 4 the Kiddies at Bass Pro Shops!! Just in time for the holiday season Bass Pro Shops is offering FREE crafts for the kiddies each and every weekend through December 20th, 2009. This weekend it is all about making a cute Santa Bobber Ornament. Stop by your local Bass Pro Shops store today or tomorrow from noon- 5pm for the kiddies to make one!! While supplies last only, so best to get their early!! Theses are great for the kiddies to make and give as gifts for the upcoming holidays!! What could be better than receiving a handmade craft from your little one?? Oh and while your their you may want to get one of these FREE 4x6 photos with Santa as well!! Click here for all the details! They also have FREE games and activities during regular store hours for the kiddies too!! More details here. Man, if only there was a Bass Pro Shops near us...I know the kiddies would have a blast there!! Have Fun if you go!! If so then you may want to share your email address with them for a chance at FREE food!!! Starting December 2nd, 2009 through December 24th, Whataburger is hosting the 12 Days of Whataburger. Every other day they will email you a coupon for FREE food....perhaps it will be a free shake, or a free Whataburger, perhaps. You'll just have to sign up here to see what you get!! Then be sure to check your email on the 2nd!! 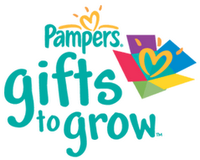 3 Free Pampers Gift to Grow Point!!! Just in time for Black Friday...here is a freebie you'll love if your collecting Pampers points!! Simply enter code: 1234ABCD6789DEF and 3 points will be added to your Gifts to Grow account!! The sale at Acme runs through next Thursday 12/3/2009. Seize The Days Sale at IKEA......Starts Friday!!! This coming weekend(Friday11/27 -Sunday 11/29) , IKEA is having a Seize The Days Sale Event with great specials each one of the days!! Plus, if you stop in before 10:30 am on any of the three days you can get a FREE small breakfast!! Or if you'd rather have a plate of their infamous Swedish Meatballs...then head on in for their $1 Meatball plate special on Friday 11/27 after 11am . For just a $1 you get 10 meatballs, mashed potatoes, and cream sauce. These offers are not valid at IKEA Hicksville, IKEA Houston and IKEA Direct. Just in case you would like one more piece of delicious Pumpkin Pie before the holiday weekend is over Bob Evans has you covered!! Click here to print a coupon for a FREE slice of pumpkin pie this weekend only, November 27-29, 2009. Looking for something fun to do this Saturday with the kiddies? Well, if you are local and live in the Philadelphia area, then you may want to check out the Yultide Ride that PATCO is hosting this Saturday November 28, 2009. The fun begins at 9am at the Woodcrest Train Station (Click here for directions). Hop on the 9:50 am or 10:05 am train to Center City....your one-way fare is FREE...for the entire family!!! Santa will be there along with clowns and musicians too. Once on the train get off at 8th/Market and visit the Model Railroad at Reading Terminal. Then take a walk down to 13th/Market (Inside Macy's) for the Holiday Lights Show (Show runs every hour on the hour) and Dickens "Christmas Carol" an animated walk through scene. 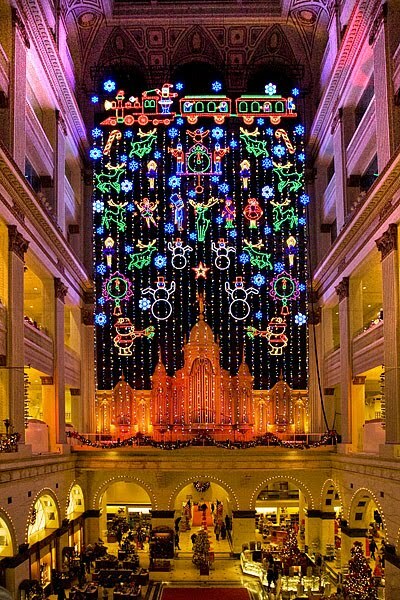 Finally head on over to 16th & Arch Streets for The Comcast Holiday Spectacular . All 3 of the above holiday displays are free too attend for the entire family!! Perhaps grab a bite to eat afterwards and you have a holiday spirited fun-filled day of fun on the cheap!! Click here to get started. Not sure how long this freebie will last so jump on it before it's gone!! Save On Annie's Homegrown Products!!! You can print 2 of each coupon, and they expire 30 days from print date. It's Back....full of all new recipes for 2010!! Simply fill out your mailing information and sign up for one of their new newsletters to receive your free Betty Crocker Calender...Choose from Betty Crocker, Dinner Made Easy, or Bisquick. Click here to sign up. Free calender is limit one per household, and should arrive in 6-8 weeks. Quantities are limited...so hurry and sign up for this one!! 1/2 Off This Weekend Only at Boston Market!!! After all the Thanksgiving meal prep, and Black Friday shopping (if you intend too), by the weekend you may be a bit tired. Cooking for the family may be the last thing on your mind!! So Boston Market is offering 50% off any Family Meal or Market Feast!!! Simply click here to print the coupon and take it to any participating Boston Market restaurant to redeem. Offer is valid only on Friday November 27 - Sunday November 29, 2009 only. Free Rental Code For Redbox!!! Feeling like a nice relaxing evening at home with a good movie? Well, how about a FREE rental from Redbox? Simple enter code: DLLNS26 at checkout for a FREE one-night rental. Remember your movie is due back tomorrow before 9pm so as not to be charged for another day. Not sure when this code expires....so hurry and use it before it's gone!! Never heard of Redbox? Click here for more info. See any other great deals this week at Shop Rite....If you have a deal to share please leave a comment with the details!! See any other great buys this week at Wegmans? Please share what you've found in the comments. Although you will not be able to use these on Black Friday at Old Navy, they are still great coupons to print and stash in your coupon holder until the 30th. They are valid from November 30th-December 24th, 2009. There is a different coupon for each week. Coupons.com has a new printable coupon for $5 off any Star Wars toy purchase of $20 or more. This is a great coupon to use for that Star Wars lover on your shopping list!!! Plus, it does not expire until 4/1/2010!!! So plenty of time to use. Coupon can be found in the toys/games category. Walmart is currently offering a FREE sample of Millstone coffee....click here to sign up for your sample. Sign up here for a FREE subscription to Tennis Magazine. You will receive a 2-year subscription absolutely free!! Gotta love those free magazines!! Hopefully there are a few deals you saw in next weeks Walgreen's weekly circular. Here is a new Walgreen's printable coupon valid for this Sunday and Monday only (11/22 and 11/23). Save $5 off any purchase of $25 or more. Remember that your total must be $25 or more after all manufactures and store coupons have been taken off. Did You Pick Up Your Turkey Yet??? It's Building Fun 4 The Kiddies!!!! Campbell's Cream of Mushroom Soup On The Cheap!!! Spend $10....Get a Free Medium Pizza!! Free Music Download by Bon Jovi!!! Need Batteries??? Head to Shop Rite Then!!!! Save BIG at Old Navy With This Great Printable!!! Freebie: MP3 Download Courtesy of Amazon!! Save 30% of Online at Kohl's!! Are You A Front Porch Friend Yet? Family Fun Subscription On the Cheap!!! Looking 4 New Heathier, Tasty Recipie Ideas?? Gift Card Deal....For the Early Birds!! Good Deal: Halo Sleep Sacks!!! Free Building Fun 4 The Kiddies!!! IKEA: Eat For Just a Buck!! Blockbuster Express: Free One Night Rental Code!! Printable: Kmart Friends & Family Coupon!! 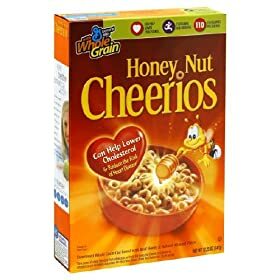 Printables: Save $11 On Kellogg's Cereals!! Just 10 Cents a Print! !